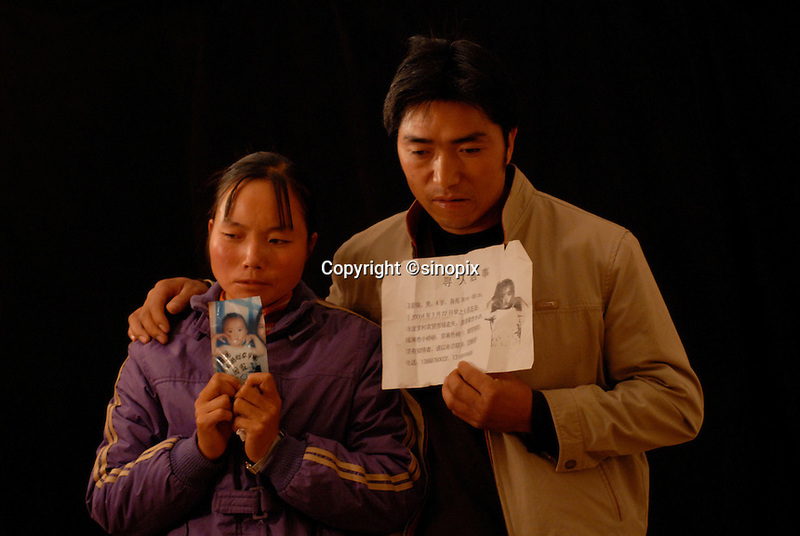 Mr and Mrs Ma holds a picture of her son Ma Purei, 3 and half years old, who was stolen March 22nd 2004. The message reads, "Papa and Mama are hoping that you will come home soon." Mrs Ha and Mrs Ma is one of thousands of migrant mothers whose children have been stolen and sold to rich families desperate for a boy. Families are limited to a single child under the China's ruthless One Child Policy.